Tugba joined Odin Financial Advisors as a Human Resources Executive. Before joining Odin Financial Advisors, Tugba worked as a Training and Development Supervisor in Netlog Logistics Group, the largest integrated logistics and transport services provider operating in Central Eastern Europe and Middle East Regions. 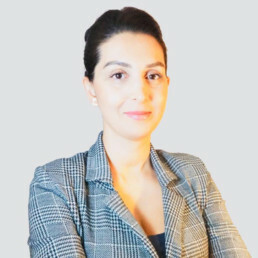 Prior to her role in Netlog, Tugba was an Executive Assistant to the CEO of Brink’s Security Istanbul Office, a global company offering transportation services for high value assets. Tugba began her career as a Group Administrative Officer in Microsoft Corporation in 2007. She holds BA degree in Foreign Language Teaching from Anadolu University with a Master’s Degree on Pedagogical Formation on ‘Teaching English to Children’.